Maureen Reid retired after 32 years of working in child protection where she oversaw a unit of forty, front-line child protection workers with specializations in the areas of sexual abuse and domestic violence. During her career, Maureen developed a treatment program for families where sexual abuse has been verified. It offered individual, group and family therapy for child victims, non-implicated parents, fathers who had sexually offended and adolescents who had offended while in a caretaking or sibling role. She co-facilitated therapy groups as well as consulted on hundreds of cases over the twenty-five years the program was operating. Maureen also co-authored and implemented an interagency community protocol for responding to infants living in high-risk environments. This protocol has been adapted in several communities in Ontario. Most recently (2010) Maureen authored and chaired an interagency committee to implement a community protocol for managing high-risk domestic violence cases. She chaired over forty, high-risk domestic violence safety planning conferences that included the woman, her supports and representatives from the Criminal Justice and Violence Against Women sectors coming together to develop coordinated safety plans and risk management strategies. Since her retirement in 2011, Maureen has provided consultant services to several Children’s Aid Societies in the province, as well as training for the Ontario Association of Children’s Aid Societies in Forensic Interviewing Skills and Responding to Domestic Violence and Clinical Supervision Skills. She also trains with the National Council for Juvenile and Family Court Judges in the United States in the area of Enhancing Judicial Skills in Domestic Violence Cases. Maureen is a consultant with the Centre for Children in the Justice System of the Family Court Clinic where she conducts high-conflict custody and access assessments with Dr. Peter Jaffe. In addition she has provided counselling services for those experiencing violence in their lives. She is registered with the Victim Quick Response Program and has completed EMDR training. 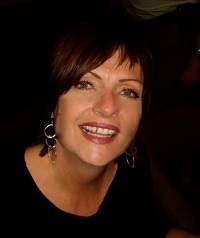 Maureen teaches at King’s College, School of Social Work and Brescia College and is a Community Research Consultant for the Centre for Research and Education on Violence Against Women and Children. She is a member in good standing with the College of Social Workers, the Canadian Child Welfare Association and the Ontario Association of Social Workers. In addition Maureen sits on a number of provincial and non-profit advisory committees.